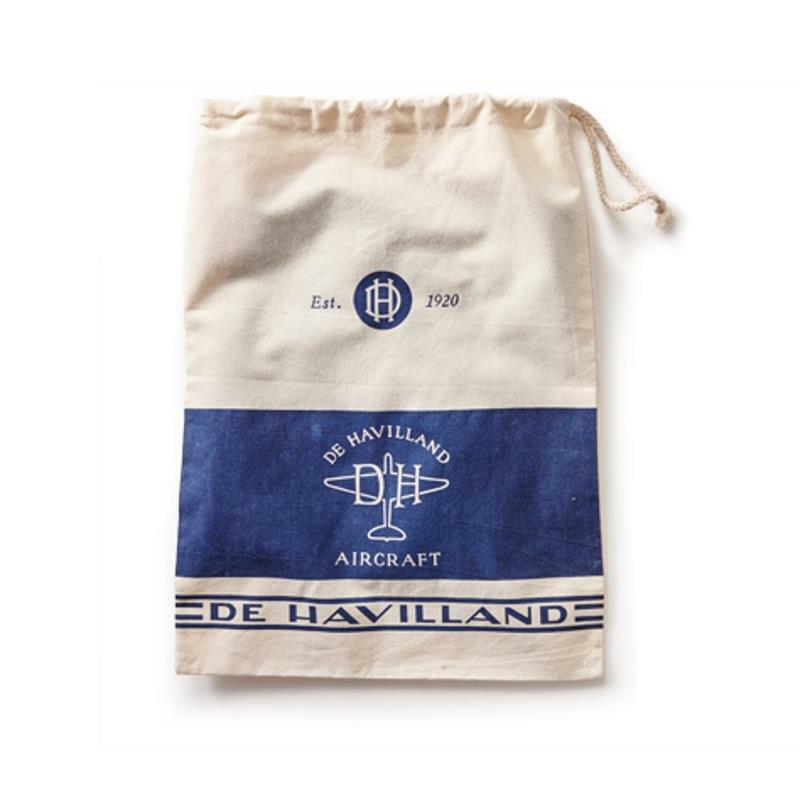 Gifts 25477 https://www.warplane.com/images/Products/25477.jpg Keep your shoes, stationary or any other small essentials organized when travelling with our De Havilland canvas bag. Rope drawstrings to close and De Havilland logo silk screened on. Made of 100% cotton. Description: Keep your shoes, stationary or any other small essentials organized when travelling with our De Havilland canvas bag. Rope drawstrings to close and De Havilland logo silk screened on. Made of 100% cotton.